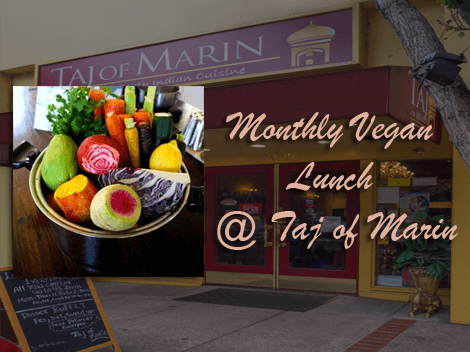 Get ready for our Monthly Vegan Lunch, Our next meetup is scheduled on June 18 at Taj of Marin Restaurant an Indian restaurant that offers the Best of North and South Indian cuisines. Their menu includes vegetarian, gluten-free, and vegan options. You dont have to be vegetarian to join our meetup, you are certainly welcome if you have interest in eating vegetarian food. 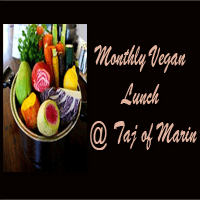 Join us and meet new friends and acquaintances, share vegan recipes while having a delicious Indian meal! See you there for good food and great conversations.